How moving quickly into recapitalization mode can help CFOs keep their companies out of bankruptcy. No one wants to be in recapitalization mode. Too often, recapitalization is one tiny step away from bankruptcy. CFOs worry that by recapitalizing before it is absolutely necessary, their companies will look weak and that employees and customers will desert it like so many rats off a sinking ship. But CFOs need to rethink recapitalization and see it as a stage to move into quickly and aggressively as soon as there is a problem. By waiting too long, recapitalization does become the first phase of bankruptcy. But by making it a part of a crisis management plan, the CFO can keep the company from falling into a death spiral that ends in bankruptcy court. We’ve seen it time and time again. A major customer leaves or a company loses a big contract. The finance chief needs to cauterize the wound by asking vendors for 90-day extensions on payments and offering creditors partial payment. But these steps don’t always help. The CFO is usually negotiating these fixes on top of an already heavy workload. Worried about looking weak, she often fails to push hard enough for the needed extension, and suppliers fail to understand the seriousness of the situation. This can (and often does) lead to more problems as the distractions facing the CFO and other executives start to take time away from everyday business needs. As management becomes distracted, relationships break down and the company starts to spiral out of control. Eventually, the company finds itself on the inevitable path to bankruptcy. But that can be avoided. Finance chiefs need to have a robust plan in place for when business takes a turn for the worse. We’re talking about more than just a rainy-day fund. That rainy day could last a year. Instead, CFOs should move into recapitalization mode sooner rather than later. That doesn’t necessarily mean a wholesale replacement of the company’s capital structure. By recapitalization we mean reorganizing the company’s debt and payments in an aggressive, ordered way that gives the company the breathing room it needs to weather the storm. The first step toward preventing a crisis from getting out of control is for the CFO to expand the inner circle. Have a crisis management plan in place that includes more than just the C-suite executives. Bringing in a trusted management team to solve the problem is much more effective than calling people in at the last minute in a panic. Having an organized group also means that the CFO doesn’t have to act alone. Dividing the work means the finance chief can still focus primarily on day-to-day business. CFOs also need to take problems seriously from the start. Too often, management has too much confidence in small fixes. When those fail to put out the fire, it grows until it can threaten to consume the entire company. That being said, each company needs to know its threshold. Overreacting at every little setback can also be counter-productive.That’s why it’s important to have metrics in place to decide when it’s time to think about escalation. Did the exiting client take 5% of the company’s revenue? 10%? How much can the company do without, and at what point is the company in trouble? Is there a fast pivot such as a small staffing decrease that can offset the loss? By answering these questions before there’s a crisis, you’ll be in a better position to decide how to react. Finally, CFOs need to be tough negotiators. If the company needs a 90-day extension to make a payment, get the 90-day extension. It doesn’t do the company any good if the finance chief accepts a 45-day extension for fear of upsetting a supplier or looking weak. In fact, CFOs should ask for more than they need and err on the side of a slight overcorrection. It’s better to have a cushion than to find your extension is up and the company can’t pay its bills. These steps won’t guarantee that your company will stay out of bankruptcy. But they will give you a fighting chance. Acting quickly and aggressively with a strong group behind you can mean the difference between a success story and a cautionary tale. 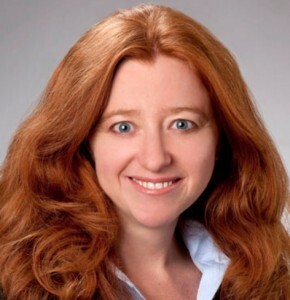 Ann Lawrence, is a partner at DLA Piper, a law firm.